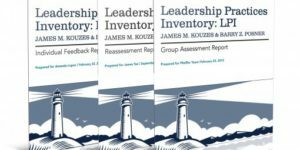 The online ordering system for the Leadership Practices Inventory® (LPI®) 360 is designed with the corporate trainer in mind. A streamlined, easy to use process allows quick and timely purchases of the LPI®, giving you more time to focus on the people you work with and less time dealing with the administrative details. Great leadership involves many attributes, aspects and actionable items. Taking the initiative to learn more about the full 360-degree feedback of your leadership behavior frequencies shows the forward thinking and action-orientated drive that many senior executives seek. Our online ordering system gives you easier access to this holistic approach, which gives you honest and valuable feedback from your team. In any work environment and company culture, team efficiency, shared vision and camaraderie are invaluable to the bottom line and morale. The LPI® 360 online ordering system is perfect for small, medium, and large teams in laying a foundational level of encouragement and supported growth. The LPI® is a versatile assessment with proven results in a varied list of settings, including education. A growing number of MBA programs throughout the USA are using the LPI® 360 with their graduate students in order to prepare them for the vital role of leadership in business. Learn more about how you can bring this observable set of leadership skills and abilities into your organization! 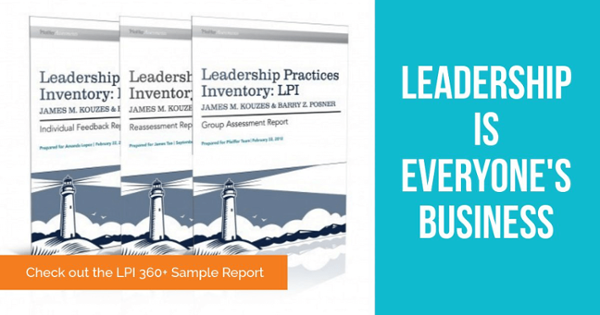 Download a sample LPI 360 Individual feedback report today. A leader can be someone who blazes the trail for the rest of a group by setting an example through aligned actions and shared values. By using the online ordering system for LPI® 360, leaders can more quickly clarify their values through finding their voice and affirming shared ideals. A leader looks forward to the future by envisioning and imagining exciting and ennobling possibilities. Through our online ordering system they’re more easily able to enlist others in a common vision by appealing to shared aspirations. A leader is willing to step into the unknown, searching for opportunities by seizing the initiative and looking outward for innovative ways to improve. Our online ordering system allows you that innovative opportunity by helping everyone learn from experience, challenging the system to seek new ideas for adoption. Leadership is not a self-guided, solo journey. True leaders foster collaboration by building trust and facilitating relationships. Our online ordering system allows you to more optimally strengthen others by increasing determination and developing confidence by saving you time and money. Top leaders know that getting extraordinary things done in organizations is hard work. Recognizing contributions by showing appreciation for individual excellence is a commitment every leader needs. Our online LPI® ordering system gives you the chance to focus in on celebrating the values and victories by creating a spirit of community.